Elbow’s article doesn’t offer us much in terms of teaching writing with digital tools, but we can forgive him (just this once) since he wrote “Writing for Learning– Not Just for Demonstrating Learning” in the mid 90’s, several years before the proliferation of Web 2.0 tools and participatory digital environments like blogs, microblogs, wikis, and social networks. But since today has been deemed the Inaugural Day on Digital Learning, we’d like to fast-forward Elbow’s cassette tape and play with some newer technologies for writing and responding to student writing. To quote Elbow (badly), the key to good writing is the breathing of experience into word. Digital writing environments can help us breathe new experiences into words–and remix words with sounds and images to create multi-sensory texts–compositions that speak to our digitally mediated experiences. In celebration of empowering students and teachers to use technology to make meaning in the world (and, of course, in the disciplines and across the curriculum) we invite you to play with us in these spaces and think about how we we might include them as rich grounds to grow a writing-to-learn pedagogy in our classrooms. Warning: Today’s reading discussion will include no full-group spoken discussion. Awkward, right? Not for many of your students. In your daybook, describe the kinds of writing you assign in your classes. According to Elbow (who is really good at this himself), we should teach students to have a conversation with themselves about their learning. Having students re-read and work with their daybook writing can promote that kind of reflexivity. So try this. For the last prompt, use two different colored markers to distinguish between the kinds of writing you assign: Writing-to-Learn and Writing-to-Demonstrate. What’s the ratio of Writing-to-Learn to Writing-to-Demonstrate? Are some assignments blended or outside of those categories? What are you trying to get students to do in those assignments? Elbow says we don’t need to read everything that we assign. In fact, students might not want an audience for some of their messy thinking. Fold the page you were working on in your daybook in half length-wise, a.k.a. hot dog fold. Mark it “Private”. Done. Students need to become more comfortable sharing in-progress writing and messy ideas. Early feedback is a crucial negotiation between writer and audience. Trade daybooks with someone near you. Read their flashwrite and coding notes. When done, you may make a brief comment about what you liked or ask a clarifying question. Most importantly, say thank you. Return your partner’s daybook. Now trade daybooks with someone else. Read their flashwrite and coding notes. Write a real-reader response under that flashwrite. What surprised you, intrigued you or bothered you? Why? What should the writer think about? When done, hand back your partner’s daybook. If time allows, continue the written dialogue or use the written responses to initiate spoken conversation. Separate into two groups and gather around the Mac Airs. One group will read Alethia’s flashwrite that has been uploaded to Voicethread and comment with typed text or recorded voice. The other group will watch Stephanie’s video that has been uploaded to Voicethread and comment with typed text or recorded voice. Again, what surprises you, intrigues you, or bothers you about Alethia or Stephanie’s response? What do you resonate with or react against? 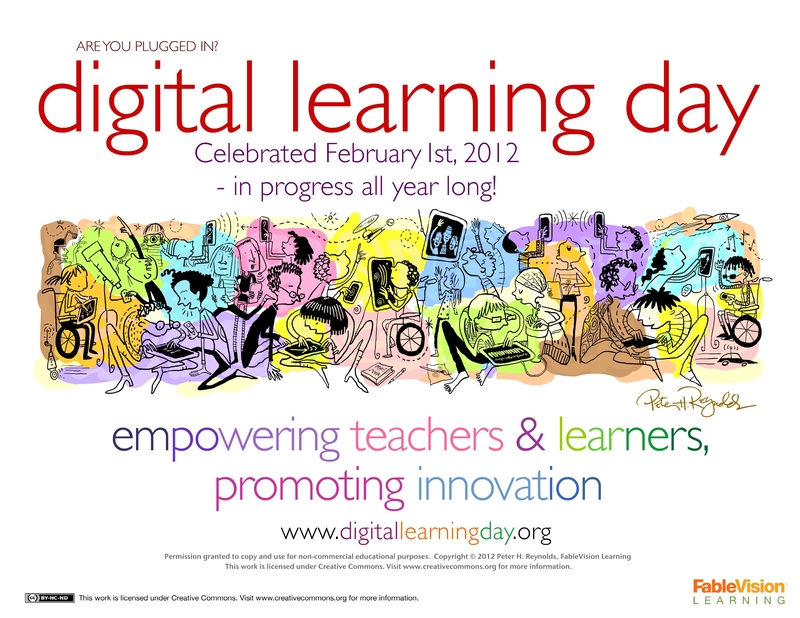 Tags: Digital Learning, Writing Across the Curriculum, Writing to Learn | Permalink.